CDX2 CD player Improved performance, increased flexibility SAME PRICE! Switchable SPDIF for external digital output. Extensive research carried out over the last few years has been fully employed in producing the integrated CDX2 CD player. Naim has made as few compromises as possible to ensure that the CDX2 offers complete musical satisfaction, rivalling that of the finest analogue turntables. Integrity and stability of the RF signals read by the laser have been prime design considerations. A suspended transport and low mass magnetic clamping system ensures that the disc spins accurately and silently, unhindered by mechanical resonance. The mass of the custom-made glass reinforced front-loading drawer mechanism has been carefully calculated to optimise rigidity and isolation. The addition of anti-vibration, resonance-controlling feet compliment the elegant new cast and extruded anti-magnetic chassis to protect the sensitive internal components from resonance and microphonic vibration. Additionally' the internal shielding has been improved bringing about further upgraded performance and lower noise. Paths between critical components are as short as possible to preserve delicate signals and each stage of the circuitry is powered by a separate regulated supply. Correct earthing is used throughout and there are no digital or headphone outputs. Both the transport and chipset have been upgraded for the CDX2. The HDCD decoder/digital filter is only activated when playing encoded discs. Eight-times over sampled data is then sent to two (one per channel) Burr Brown PCM mono D/A converters. A separate, fully optimised master clock controls all main digital functions, and the clock configuration and layout are engineered to minimise jitter. A seven-pole analogue filter follows the DAC to remove spurious noise. The CDX2 has a fully double-regulated power supply with 20 low-noise, regulated power supplies on the main circuit board, plus a separate supply on the servo control board and another on the display board. It is a stand-alone, mains powered machine, which may also be used with the XPS ultra low noise power supply, providing a substantial improvement in sound quality. Naim research has proved that divorcing the main power supply from a CD player is wholly beneficial, whereas the more common arrangement of housing the converter circuitry in a separate box causes many problems. The Naim XPS power supply is extremely sophisticated with six separately regulated, ultra low noise outputs, featuring a toroidal transformer and six power regulators. This ensures complete stability of the ultra-sensitive circuitry in the CDX2. The same external supply is used with the Naim CDS3 CD player, thus providing a further possible upgrade path from one player to the other. 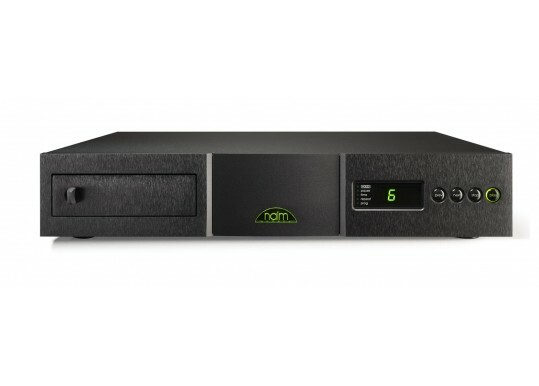 All main control functions are handled by a microprocessor running Naim-written software. Every aspect of the SAA 7376 servo controller/decoder functionality is under software control: Naim-written codes allow maximised performance in all areas. For example, the transport parameters are optimised for each disc as it is loaded. In addition, special care has been taken to ensure that the player/user interface is as logical as possible with extra features such as "display off" (for improved sound quality) and program cancel, where tracks the listener does not want to hear can be quickly selected. Worthwhile user features have been added: in addition to a clearer layout of the back panel, RC5 and optional RS232 ports have been fitted, allowing seamless integration into even the most complex of home installations. In common with the flagship NAC 552 pre-amplifier, the CDX2 has user-configurable outputs, allowing a choice between the preferred DIN output and RCA phono connections, allowing the CDX2 to be used with a wide range of other manufacturers' cables and components. Twenty power regulators make up a fully double-regulated power supply with exceptional dynamic stability. The optional Naim XPS power supply provides six regulated power supplies; this significantly reduces supply noise for all circuitry. The Naim CDX2 plays music from CD in a wholly natural, believable way, providing the same involvement and enjoyment as a high-end analogue source but with tremendous consistency and reliability. Your Inquiry about Naim Audio CDX2 is Successfully Submitted.